It can be hard when you first start your business or launch your new offer. You are all excited about the possibility of serving and helping a lot of people. You sign up for courses to learn what you need to do make it all happen. You get all excited researching and creating and figuring out how to bring this whole vision you have to life. And, then you hit a wall and everything stalls. It seems like everything is taking longer than you thought it would to get your work out there in a big way. Every day you look at your long checklist filled with tech stuff you know needs to get done to make the leap and you don’t know how to do it and don’t have the budget to pay someone else to do it for you. Many of the clients you attract don't have the money to go deeper with you...even though they want to. And, this means that most days you just feel overwhelmed. It's Critical That You Stay in Your Zone of Genius in Your Business. The more time you spend actually helping your clients get results, the better you feel and the faster your business grows. The ability to stay in your zone of genius comes from having enough sales to have other people do the things in your business that aren’t in your zone. What if you only focused on working with great, highly committed clients and had more than enough revenue coming in to make your dream income AND outsource all the stuff you don’t want to do? How much easier would this all be if you had a handful of really high-paying clients that funded the growth of your business? Here’s the truth: There are experts just like you who are working with small, medium, and large sized businesses who think nothing of investing $10k, $20k or even $100k on courses, coaching, and consulting. These businesses are right in your backyard AND you can reach them without a sales funnel or ads or any tech-based marketing system. Why Should You Sell YOUR Expertise to Associations, Non-Profits, Small, Medium, and Large Businesses? One corporate client might buy 100+ seats in your online course. Or, they might put 10 executives through your one-on-one coaching program. Or bring together 100 people to experience your workshop. The opportunities are endless when you know how to package and price the right solutions. Your funnel for selling to small, medium, or large businesses can be as simple as email and your phone. You don't need to invest in any tech tools or hire a large support team. And, you can set up this low-tech system in days or weeks. Whether you're aware of it or not, you have many opportunities to sell your expertise in your local area. It only takes one short sentence about what you do to have someone ask you, "Do you work with businesses like mine?". The local chapters and regional offices of bigger businesses are right in your backyard (and are often the best way to start relationships with larger companies). Your favorite Mexican restaurant learns what you do and invites you to lead their company retreat. Your hairdresser introduces you to the product rep visiting their salon and you land a consulting gig with a Fortune 500 brand. Your driver taking you to the airport also has her own graphic design business and she will now be joining you in one of your workshops. ...and by the way, all of these are actual examples of how I found clients. As a former executive in a large company, I had a 7-figure budget to spend on training and I know what made me quickly say "YES" to an expert like you. The thing is, people buy courses, coaching, consulting, and programs that solve a problem they are dealing with. The secret to getting attention is linking what you offer to a problem they want to solve. And, you might think it's all about who you know. I didn't know most of the people I hired. They showed up in my email, voicemail, or at an event offering me a solution to a problem I was dealing with right now. We all start our business because we want something. I wanted the freedom to create a life that had the space for all the things I wanted more time for, especially time with my kids. I wanted to wake up every day and spend my day doing all the things I love to do. I wanted to work with people that inspired me, challenged me, and upped my game. This is why I started my business: to do work that I love, with the people I love, and in the process, create a life that I love. Since I started my business, I have worked with 100+ large companies in over 20 countries. I’ve led workshops for over 50,000 small business entrepreneurs creating courses and programs in all kinds of topics from health and wellness to design, software/technology, business, coaching, and more. Many of these entrepreneurs work solo right in their home office. I get to work with big, global brands and scrappy entrepreneurs on a mission. You can do both: work with big companies and serve individuals at the same time. The method I’ll be sharing with you is proven and works in all kinds of markets. It can help you rapidly generate big ticket sales that can fund big growth in your business. You might call that “freedom”. Whatever you call it, I want it for you. It can help you rapidly generate big ticket sales that get you out of doing things you don’t want to do and get you the resources you need to generate big growth in your business. to find the decision maker. (Hint: the person who is responsible for the result is always the decision maker and budget holder). Most experts do not consider this step so they are selling to people who are not interested. When you focus on results and ask great questions, you can easily be seen as an expert. If you do not establish yourself as an expert, the decision maker may delegate meetings with you to someone who is unable to make the decision. Most experts work too hard trying to convince their prospect that they need what they're selling. It's much easier to ask great questions, listen to what they need, and have tell you what they want to buy from you. It’s easy to make the mistake of trying to sell with your proposals. When you lead the conversation with the client, you don’t have to sell. You only deliver different options they can choose from to work with you. Another common mistake is charging by the amount of time it will take to deliver the result versus basing pricing on the value generated by the work you do together. This can lead to undercharging and being stuck in a dollars-for-hours model. How do I help corporations see value? How do I find the decision maker? How do I get seen on a really small budget? How do I reach the right people? Who do I contact in an organization, and how (email, phone call, snail mail)? How do I get their attention and stand out in the crowd? How do I get past the "gatekeeper"? How do I help corporations see value in what I offer? How to know if companies buy what I sell? How do I describe what I do so businesses will be interested? How can I be seen as an authority or expert if I've never sold to corporate before? How do I package and price my expertise? How do I price my offering? Do I sell for a flat fee or do I charge per person? Does my pricing need to be different for corporate? What about bulk purchases? How do I package my services - the look, sales copy, and pricing? How do I take what I am doing one-on-one and package it for companies? When You Lead the Conversation Differently, Corporate Clients Can Be Found EVERYWHERE. Imagine this: You are at the Chamber and someone asks what you do, you respond, and they want to know if you can meet with them to talk about their business. You have a chance to speak at an event and instead of your usual introduction, you talk differently about what you do and every single person opts into your free offer and gives you their email address to follow up with them. PLUS, you have several people come up after the session to ask if you can help them. You get on the phone with a potential client, you ask questions, they do most of the talking, and then you put together a proposal with 3 options to choose from (and they happily choose the highest level of work with you that very same day). You use the High-Converting Conversation Frame™ to lead a conversation with a regional office of a large restaurant chain. In just one conversation, you sell 100 spots in your upcoming online program. You value your work differently and instead of undercharging for your work, you attract clients who are ready to invest at a higher level. A virtual learning program designed to equip you to sell your offers to small, medium, and large businesses, non-profits and associations so that you can generate more revenue with fewer clients and create consistently higher ticket sales. Over four webinar trainings, downloadable plans and worksheets, and an optional private Facebook community, I will share the same step-by-step system I have used to package and sell my work to hundreds of businesses - local, small, medium, and Fortune 100 companies. Not sure where to start? It’s much easier to go find a market that is already looking for what you offer rather than trying to sell to people who don’t need what you offer or have people in-house that do what you do. In this module, we are going to quickly identify what types of companies are buying what you offer from small and mid-size companies right in your backyard to bigger, global brands. First, we will connect your expertise to a result these clients will happily write a check to achieve. The Buying Map will help you quickly figure out the right roles that buy what you offer (this is different based on the size of the company and the industry). 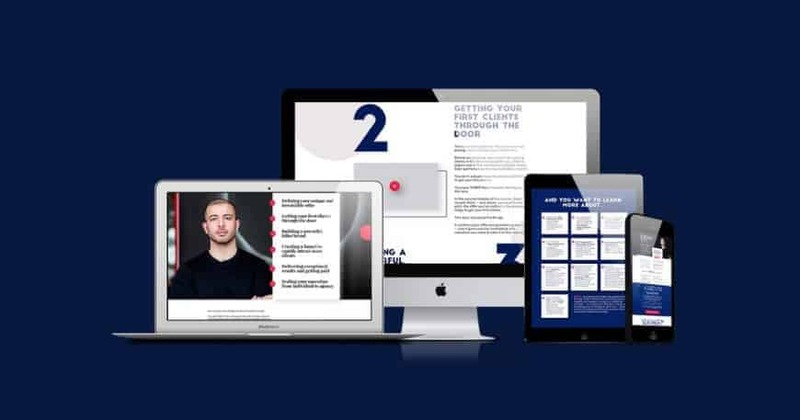 By the end of this module, you will have completed your Corporate Client Targeting Map, have a hot list of buying prospects and be ready to build your plan to connect with them. The Corporate Offer Makeover Workbook to translate your expertise into a result corporate clients invest in. The Corporate Buying Map to locate the right buyer in any size organization. The Corporate Client Targeting Tool to prioritize your list of prospects from right in your backyard to all over the world. Once you have a hot list of prospective decision makers, how do you grab their attention and get the appointment? Even if you have ZERO connections, you’ll see how easy it can be to get in front of the right people using nothing more than your email and a phone. The first thing we will do is figure out your outreach “angle” that will grab their attention. In this module, we will use a proven, multi-pronged strategy to reach out to your prospects and schedule a “No Pitch” client conversation (in-person or on the phone). Get Past the Gatekeeper and Get the Appointment Email Scripts so you can get through the noise and into the inbox of your host prospects. How to Get Introductions on LinkedIn Guide to get introductions to the buyers on your hot prospect list. Client Attraction Mini-Event Checklist so you can quickly create no-budget networking events. How do you get the decision maker to instantly see value in what you offer? The answer lies in how you lead the conversation. The mistake most experts make is spending way too much time talking about what they do in the hopes of getting a new client. It’s hard to know what your client will say YES to when you are only talking about WHAT you offer. You will establish your value by listening and linking what you do to the results your client wants. It doesn’t matter if you are meeting with the owner of the local bookstore down the street or the CEO of Barnes and Noble®, you will use the same approach to quickly figure out how you can help them get results. The process you will learn in this module will help you win clients in any selling situation. It’s not a one-size-fits-all script. It’s a method you can adapt to any situation and use over and over to get clients eagerly asking for a proposal from you. The 4-Part High Converting Consultation Frame™ to use to plan your approach. The Power Opening Script to set the stage for a request for proposal. Inventory of “Gap Questions” you will use in your conversation to identify exactly what you need to know to create a winning offer. Module 4 - Package, Price, and Put the Proposal Together to Get a Quick YES! How should you price and package differently when selling your courses and packages to small, medium or large businesses? What must you include? How to price? How many options should you provide? What payment terms to include? In this module, we’ll cover every aspect of putting together a profitable package, how to price it right and deliver a proposal that gets a quick YES! I’ll show you how to create proposal templates that you design once and repurpose for “custom” proposals. You can literally design a tailored solution for a client in 15 minutes using this system. Hint: Every step from choosing the client prospect to the questions you ask in the meeting will be intentionally linked to your proposal template. This is how you respond quickly and craft winning proposals. The 10-Part Proposal Template Checklist so you can create "customized" proposals in minutes. The Pricing Guide for Small, Medium, and Large Businesses so you know how to price and what to charge. The Package Creation Matrix so you can quickly choose from the package options to assemble small, medium, and large packages. 1. YOUR LEARNING PORTAL IS OPEN now! 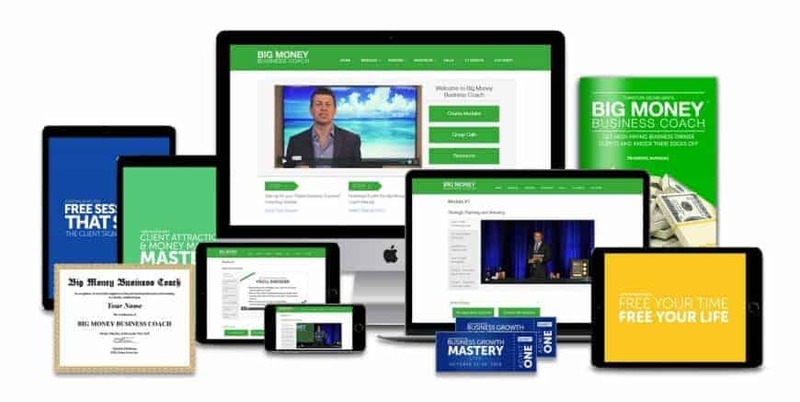 When you join in, you will get instant access to the Modules 1 and 2 video modules so that you can dive in right away. You will then be able to join me for 2 additional LIVE learning sessions and 2 LIVE QA Calls (All sessions will be recorded and added to your learning portal for repeat viewing). We will dive right into how to lead conversations that have your clients telling you exactly what they will invest in with you. We'll come together live for 2 virtual group Q&A calls so you can get all your questions answered and start implementing your plan. All live sessions and Q&A calls are recorded if you are unable to attend a session. You can also send in your questions in advance, and I will answer them on the call so you can keep moving forward on your plans. In Get Corporate Clients VIP, you will receive individualized attention around your plan. I will review your plan, make suggestions and enhancements, and give you feedback via a private video recorded just for you. You'll then receive that feedback in a private video link. Then, we'll come together for a VIP small group Q&A call after you go through your review so you can ask any questions you have about your plan. Step 1 - You submit your plan using a template I provide for you to make this super easy. Step 2 - I'll review your plan and record a private video answering your questions, making suggestions and enhancements and giving you specific action steps. Step 3 - You will receive your video via a private link and take time to review. Step 4 - We will come together for an exclusive VIP small group QA call and answer any questions you have. Spots are limited so you can get individual feedback on your business. In this option, you will gain access to everything in the Get Corporate Clients Masterclass, PLUS receive your VIP Private Video Review, PLUS work with me directly in a small group setting all ONLINE. We will be working side-by-side on your entire business model. If you want to put our heads together to build your plan, this is for you. 1. You will build your plan in the Get Corporate Clients Masterclass. 2. You will share the first draft of your plan with me and I will record a private video review for you. 3. We will come together in an online video conference retreat to build out your entire business strategy including defining your audience, deciding on the perfect offer, pricing, develop proposal options, writing sales copy and more. We will be online via video conference 1/2 the day and the remainder of the day you will be building out your plan. You can work solo or pair up with partners from the group to get things done fast. 4. We will build your action plan and come together for 2 follow-up small group calls so that you can get feedback and your questions answered, as you implement your plan. You will walk away with a step-by-step plan to create a steady flow of corporate clients so you can create more revenue and live the life you have imagined. We will work on clarifying your audience, building your offer, creating your marketing strategy, designing your sales funnel, and how to scale these efforts so you can hit your goals for 2018.
individual feedback on your business. Your own Virtual Inner Circle Incubator private Facebook group to collaborate and get feedback. A full 60-day support plan following the retreat, which includes 2 LIVE one hour small group Q&A calls so you can get your questions answered. This is not a passive, me-talking-all-day webinar where everyone is anonymously multi-tasking. This is an active, intimate, engaged group of smart experts like you coming together to collaborate on building your business. I’ll be leading you through exercises, giving you direct feedback on your strategy and walking you through the behind-the-scenes of a 7-figure business. You’ll have the option to partner up with other members, join breakout sessions and have plenty of time to work on your own in between our learning sessions. You will leave with an action plan and milestones for us to review together in the two small group follow up calls happening after the retreat. "I was on a deadline to raise €25k in 8 weeks to be able to purchase our new home mortgage free. We signed the contracts this week!" 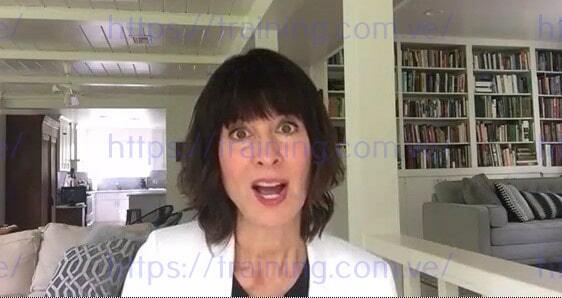 "On a webinar I ran for 220 people, instead of offering my usual free sales strategy session I tweaked the title based on Jeanine's suggestion in my VIP Plan Review. Instead of getting my usual "0" to sign up for this, I got 15. €4000 of immediate business resulted with €18,000 still in conversation. I was on a deadline to raise €25k in 8 weeks to be able to purchase our new home mortgage free. We signed the contracts this week!!! :). That's the biggest WIN for my family. And, I've beat my total sales in 2016 by May 17th 2017. YEAH!" "Taking Jeanine's program has changed my life!!!" "Based on my success in taking Jeanine's course and landing over 100 clients in my very first course launch, I knew working side-by-side with her in the Virtual Inner Circle Incubator would be amazing...but an unexpected bonus after the Retreat was all the genius and support that has come from my fellow participants. I feel like I have found "my people" who totally get after it, like I do! I feel like everyone in the group really cares about each others' success. I didn't know that could come out of a virtual retreat with strangers! Having no business background at all, I really needed Jeanine to say "do this for this reason," so I was not swimming around in a million ideas. The Retreat really got me laser-focused on how to turn my successful launch into a successful and sustainable business where I am not working a million hours a week to create and sustain it. There are moments in one's life when you know that you'll look back and say, "That is what the game changer was." Taking Jeanine's program has changed my life!!!" Do you need to generate revenue NOW? I get it. You have more ideas than you have time or money to implement. You want to make a big leap in your business, grow an amazing tribe of followers and do the meaningful work you are here to do. But, you need to get cash flowing to free up your time, invest in your business, and get momentum. If you could just get some revenue flowing fast, you can see how you could quickly bring your dream business to life. This is a simple and powerful method for getting prospects on the phone and converting them into clients. "Using Jeanine's 30-day plan, I closed one deal for $6,400, and another deal for a $4,800 monthly retainer client." "Using Jeanine’s 30-Day plan, I closed one deal for $6,400, and another deal for a $4,800 monthly retainer client. Now I can focus on my course and my launch, knowing that my short-term revenue is in good shape." We are in the business of creating experiences that create results. If for any reason you are not thrilled with the content and the potential impact it will have in your business, we will refund your tuition 100% within the first 30 days. No hoops. Just send us an email. Are you ready to sell your programs, coaching, or consulting to businesses? 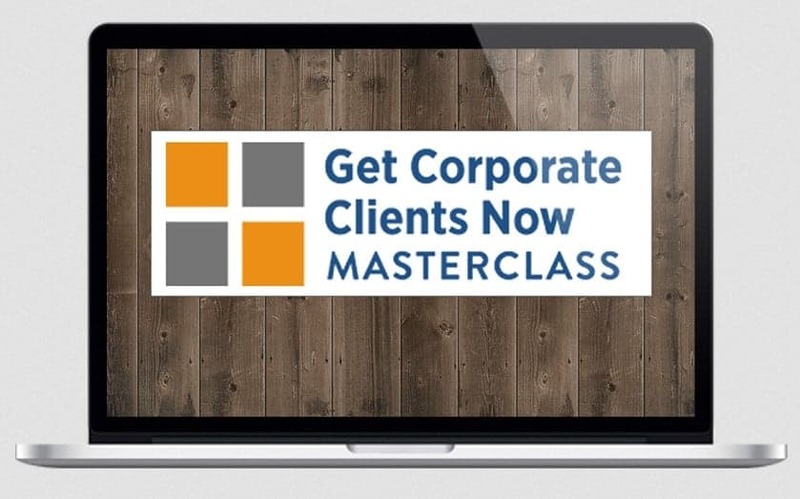 Registration for The Get Corporate Clients Masterclass closes on Sunday, March 4th at Midnight. When you register, you'll receive an email confirming your registration. Your email will include instructions on how to access your first two learning modules and join our private Facebook community. If you have any questions along the way, our Program Manager, Helen Sellers, is here to help you get access to the content and ensure you get the most out of the program. "Got a $11k contract and on good terms..."
"Celebrations...just finally got a $11k contract and on good terms, a lot in thanks to my courage and know-how from this course and Jeanine Blackwell and the team. Another similar size contract in the works plus two or three other speaking engagements that could lead to more interest." "I closed a $30k contract today!" "I closed a $30k contract today. I received a referral from a research project I did previously, and I used the Conversation Frame from the Masterclass to close the deal. I'm so happy! And BTW, I haven't even finished all of the lessons/assignments here...just did the best I could to follow the structure Jeanine has provided. SO GLAD I listened to the classes. WooHoo!" "I landed my first ever corporate client thanks to this class!" "I landed my first corporate client thanks to this class!" "All three owners asked for another meeting to brainstorm how we can work together..."
"This morning I had three meetings with yoga studio owners and used the High-Converting Conversation Frame™ that Jeanine taught in Module 3. What a difference!!! All of the studio owners loved talking about their studio, difficulties, goals, priorities, etc. Making connection was easy since all of them are in my neighborhood and I also asked the questions [Jeanine] suggested. All three owners asked for another meeting to brainstorm how we can work together and offer "Irina's amazing workshops". Well, what's amazing was that I talked very little about what I offer, mostly was interested in their business." "We landed a $10k contract from a massive oil and gas company in my city. The High-Converting Conversation Frame™ made all the difference." "We landed $10,000 contract from a massive oil and gas company in my city. The High Converting Conversation Frame™ made all the difference. This system has allowed us to charge more, learn more about our clients needs, and offer a higher quantity and quality service. We have three more proposals out there, and all of them are looking promising. Those three proposals are still out there but seem to be growing in scope (good news!). This program is brilliant!" Let's be clear: The results shared here are not typical results — these are results from people who jumped in and worked the system I’ll share with you. The results you get from any program are based on many factors, including the effort you put in. The key thing to ask yourself: “Am I ready to dive in and do the work?" Success requires work and relentless commitment to getting better and better at what you do. This is bad news for the people looking for a get-rich-quick scheme and great news for someone like you who is ready to make things happen. of your corporate offer and a 4 day virtual retreat (June 26-29, 2018) so you can get direct feedback on your plan. Have a question about how the Get Corporate Clients Masterclass works? Do I need to have a program or offer created to get the most out of the Get Corporate Clients Masterclass? No. I created the Get Corporate Clients Now Masterclass for any coach, consultant, expert, service provider, freelancer, or entrepreneur at all stages of business. Whether you are just starting out, have created your first program, are on your way to 6-figures (or more), you can learn how to sell your expertise to corporate buyers using this system. Registration for the Masterclass ends on March 4th at midnight. After you register, you will receive an email that includes everything you need to know to access the program, including your link to the private Facebook forum where you can connect with other coaches, consultants, and experts. When you enroll, you will receive immediate access to Session One and Session Two to watch right away. You will then be able to join us for 2 additional LIVE learning sessions and 2 LIVE QA Calls (All sessions will be recorded and added to your learning portal for repeat viewing). Will the live sessions be recorded, and can I access the replay if I can't attend live? Yes, you can certainly participate in the session recordings if you're not able to join us live (many folks do catch the recordings). You can also send your question via email in advance of a live call and I will answer even if you are not present. You can then get direct feedback on your question via the recording. You will receive access to your Learning Portal and Private Facebook group when you join. Then, the live sessions run weekly from February 12th to March 19th. How do I ask questions or get feedback on my plan during the program? You can share your questions in the Facebook Forum or send in via email to be potentially selected for one of our live Q&A calls. For the highest level of direct feedback, take a look at the VIP option, which is designed especially for those who would like personal feedback on their plan.